INTERNATION NONGOVERNMENTAL ORGANIZATION | INGO - Wikipedia. NON-GOVERNMENTAL ORGANIZATION | NGO - Wikipedia. 1001 CLUB - a Nature Trust that helps fund the World Wide Fund for Nature. It was established in 1970 by the then head of the WWF, Prince Bernhard of the Netherlands, with help from Anton Rupert, a South African entrepreneur. They persuaded 1001 individuals to join the club, where each member would contribute US$10,000 to the trust. The membership of the 1001 Club largely consists of managers of banks and multinationals from around the world. According to a 1993 Washington Monthly article, "The secret list of members includes a disproportionate percentage of South Africans, all too happy in an era of social banishment to be welcomed into a socially elite society. Other contributors include businessmen with suspect connections, including organized crime, environmentally destructive development, and corrupt African politics. ACTA | ANTI-COUNTERFEITING TRADE AGREEMENT - a proposed plurilateral trade agreement for establishing international standards on intellectual property rights enforcement throughout the participating countries. ADBUSTERS - Canadian-based not-for-profit, anti-consumerist, pro-environment organization founded in 1989. The foundation describes itself as "a global network of artists, activists, writers, pranksters, students, educators and entrepreneurs who want to advance the new social activist movement of the information age." africa.com - founded in 2001, launched 2010. Organization created to change the way the world sees Africa, using the ever growing use of internet. Using the online web portal about the continent, its main purpose is to be a unique platform for anyone interested in Africa to learn more about all aspects of the continent. Also it provides for both business and world leaders accurate information about the investment climate, thus becoming the online portal for the world’s engagement with Africa. AFRICAN UNION - for a new Africa. AIS - live ship maps and vessel traffic and position tracking based on AIS data. ALEXANDER S. ONASSIS PUBLIC BENEFIT FOUNDATION - its mission is to disseminate information about Hellenic civilization throughout the United States and Canada. AMFAR | The Foundation for AIDS Research - "Making Aids History." Since 1983. International nonprofit organization dedicated to the support of AIDS research, HIV prevention, treatment education, and the advocacy of AIDS-related public policy. AMNESTY INTERNATIONAL - working to protect human rights. APEC | Asia-Pacific Economic Cooperation - forum for 21 Pacific Rim countries (styled "Member Economies") that seeks to promote free trade and economic cooperation throughout the Asia-Pacific region. Arctic Council - since 1996. High-level intergovernmental forum that addresses issues faced by the Arctic governments and the indigenous people of the Arctic. It has eight member countries: Canada, Denmark, Finland, Iceland, Norway, Russia, Sweden, and the United States. ASEAN | ASSOCIATION OF SOUTHEAST ASEAN NATIONS - aim to accelerate economic growth, social progress, cultural development, promote peace and stability in the region. AAAS | American Association for the Advancement of Science - international non-profit organization with the stated goals of promoting cooperation among scientists, defending scientific freedom, encouraging scientific responsibility, and supporting scientific education and science outreach for the betterment of all humanity. It is the world's largest general scientific society, with 126,995 individual and institutional members at the end of 2008. BAN | BASEL ACTION NETWORK - works to prevent the globalization of the toxic chemical crisis. "We work in opposition to toxic trade in toxic wastes, toxic products and toxic technologies, that are exported from rich to poorer countries." BIE | BUREAU INTERNATIONAL DES EXPOSITIONS - its function is to regulate the frequency and quality of exhibitions falling within its remit. BILDERBERG GROUP - an unofficial, annual, invitation-only conference of around 130 guests, most of whom are persons of influence in the fields of politics, business, and banking. BILL & MELINDA GATES FOUNDATION - the largest transparently operated private foundation in the world. BIPM | BUREAU INTERNATIONAL DES POIDS ET MESURES - since 1875. The task of the BIPM is to ensure world-wide uniformity of measurements and their traceability to the International System of Units (SI). BIS | BANK FOR INTERNATIONAL SETTLEMENTS - intergovernmental organization of central banks which "fosters international monetary and financial cooperation and serves as a bank for central banks." It is not accountable to any national government. Blue Shield International - founded in 1996 "to work to protect the world's cultural heritage threatened by wars and natural disasters". It has been described as the "Cultural Red Cross", and its name derives from the usage of the blue shield as specified in the 1954 Hague Convention on Protection of Cultural Property in Armed Conflict. BRUEGEL - established in 2005. European think tank working in the field of international economics. CAS | COURT OF ARBITRATION FOR SPORT - international arbitration body set up to settle disputes related to sport. CDC | CENTERS FOR DISEASE CONTROL AND PREVENTION - your online source for credible health information. CGPM | ConfÉrence gÉnÉrale des poids et mesures - one of the three organizations established to maintain the International System of Units (SI) under the terms of the Convention du Mètre (Metre Convention) of 1875. It meets in Sèvres (in the southwestern suburbs of Paris) every four to six years. The CGPM represents 52 member states and 26 further associate members. CITES | CONVENTION ON INTERNATIONAL TRADE IN ENDANGERED SPECIES OF WILD FAUNA AND FLORA - multilateral treaty, drafted as a result of a resolution adopted in 1963 at a meeting of members of the International Union for Conservation of Nature (IUCN). The convention was opened for signature in 1973, and CITES entered into force on 1 July 1975. Its aim is to ensure that international trade in specimens of wild animals and plants does not threaten the survival of the species in the wild, and it accords varying degrees of protection to more than 34,000 species of animals and plants. Conservation International - Nature is speaking: "Nature doesn't need people. People need nature." Cooperation Council for the Arab States of the Gulf | CCASG - political and economic union involving six Arab states of the Persian Gulf with many economic and social objectives: Bahrain, Kuwait, Oman, Qatar, Saudi Arabia and the United Arab Emirates. CORPORATE EUROPE OBSERVATORY - exposing the power of corporate lobbying in the EU. CREATIVE COMMONS | CC - a nonprofit corporation dedicated to making it easier for people to share and build upon the work of others, consistent with the rules of copyright. "We provide free licenses and other legal tools to mark creative work with the freedom the creator wants it to carry, so others can share, remix, use commercially, or any combination thereof." CRYOS INTERNATIONAL - world's leading sperm bank network. CSIS | CENTER FOR STRATEGIC & INTERNATIONAL STUDIES - providing strategic insights and bipartisan policy solutions for decisionmakers. DLNA | DIGITAL LIVING NETWORK ALLIANCE - connect and enjoy. Standard used by manufacturers of consumer electronics to allow entertainment devices within the home to share their content with each other across a home network. EBU | EUROPEAN BROADCASTING UNION - confederation of 199 broadcasting organisations from 205 countries, and 49 associate broadcasters from a further 25. It is unrelated to the European Union. ECB | EUROPEAN CENTRAL BANK - Eurosystem. ECOCERT - is an organic certification organization. ECOCERT primarily certifies food and food products, but also certifies cosmetics, detergents, perfumes, and textiles. EF Education First | EF - since 1965. International education company that specializes in language training, educational travel, academic degree programs, and cultural exchange. EMVCO - "Global Specifications for Chip-Based Payment." EMV is a global standard for credit and debit payment cards based on chip card technology. EQUAL PAY - gender pay gap. ESA | EUROPEAN SPACE AGENCY - "Space for Europe." ESPERANTO - the most widely spoken constructed international auxiliary language in the world. ETF | EUROPEAN TRAINING FOUNDATION - The EU agency which supports education and training in countries surrounding the EU. ETHISPHERE - the research-based Ethisphere Institute is a leading international think-tank dedicated to the creation, advancement and sharing of best practices in business ethics, corporate social responsibility, anti-corruption and sustainability. EURO NCAP - the European new car assessment programme. EUROPA NOSTRA - the voice of cultural heritage in Europe. European Free Trade Association | EFTA - since 1960. Common market consisting of four European countries (Iceland, Liechtenstein, Norway & Switzerland) that operates in parallel with – and is linked to – the European Union (EU). EUROPEANA - Think Culture! Search through the cultural collections of Europe. It links you to 6 million digital items. FATF | FINANCIAL ACTION TASK FORCE - on money laundering (OECD). FLO INTERNATIONAL - Fair trade certification. FREELAND - non-profit foundation dedicated to ending the illegal wildlife trade, conserving natural habitats and protecting human rights. FSC | FOREST STEWARDSHIP COUNCIL - facilitates the development of standards, ensures monitoring of certified operations and protects the FSC trademark so consumers can choose products that come from well managed forests. G-7 - Canada, France, Germany, Italy, Japan, United Kingdom and the United States. G-8 - Canada, France, Germany, Italy, Japan, Russia, United Kingdom, United States and the European Union. G-20 - Argentina, Australia, Brazil, Canada, China, France, Germany, India, Indonesia, Italy, Japan, Mexico, Russia, Saudi Arabia, South Africa, South Korea, Turkey, United Kingdom, United States and the European Union. G-77 - the Group of 77 at the United Nations is a loose coalition of developing nations, designed to promote its members' collective economic interests and create an enhanced joint negotiating capacity in the United Nations. There were 77 founding members of the organization, but the organization has since expanded to 130 member countries. GAIA PRESERVATION COALITION - an international network of individuals and groups that share a concern for living more sustainably on the earth. GCC | Gulf Cooperation Council - political and economic union involving six Arab states of the Persian Gulf with many economic and social objectives: Bahrain, Kuwait, Oman, Qatar, Saudi Arabia and the United Arab Emirates. General Conference on Weights and Measures - one of the three organizations established to maintain the International System of Units (SI) under the terms of the Convention du Mètre (Metre Convention) of 1875. It meets in Sèvres (in the southwestern suburbs of Paris) every four to six years. The CGPM represents 52 member states and 26 further associate members. GLOBAL SURVIVORS NET - "Speaking truth to terror." Collaboration of victims of terror attacks around the globe. Global Witness - international NGO established in 1993 that works to break the links between natural resource exploitation, conflict, poverty, corruption, and human rights abuses worldwide. GLOBAL ZERO - movement launched in December 2008 includes more than 200 political, military, business, faith and civic leaders – and hundreds of thousands of citizens – working for the phased, verified elimination of all nuclear weapons worldwide. GREENPEACE INTERNATIONAL - "Greenpeace exists because this fragile earth deserves a voice. It needs solutions. It needs change. It needs action." GSM WORLD | Groupe Speciale Mobile Association - the GSMA represents the interests of the worldwide mobile communications industry. Spanning 219 countries, the GSMA unites nearly 800 of the world’s mobile operators. HRW | HUMAN RIGHTS WATCH - international non-governmental organization that conducts research and advocacy on human rights. IAEA | INTERNATIONAL ATOMIC ENERGY AGENCY - international organization that seeks to promote the peaceful use of nuclear energy and to inhibit its use for military purposes. IANA | INTERNET ASSIGNED NUMBERS AUTHORITY - responsible for the global coordination of the DNS Root, IP addressing, and other Internet protocol resources. IAPA | INTERNATIONAL AIRLINE PASSENGERS ASSOCIATION - "Frequent Flyers count on us." IARU | INTERNATIONAL ALLIANCE OF RESEARCH UNIVERSITIES - international organization that seeks to promote the peaceful use of nuclear energy and to inhibit its use for military purposes. IATA | INTERNATIONAL AIR TRANSPORT ASSOCIATION - IATA is an international trade body, created over 60 years ago by a group of airlines. Today, IATA represents some 230 airlines comprising 93% of scheduled international air traffic. IAU | International Astronomical Union - collection of professional astronomers. IBIS - education for development. I.B.M. | International Brotherhood of Magicians - "The World's Largest Organization for the Magical Arts." World's largest organization for professional and amateur magicians, with approximately 12,000 members in more than 73 countries. ICANN | INTERNET CORPORATION FOR ASSIGNED NAMES AND NUMBERS - a non-profit corporation that oversees a number of Internet-related tasks. Regulates 20 generic codes, e.g. .com, plus 248 country codes, e.g. .us. ICBS | International Committee of the Blue Shield - founded in 1996 "to work to protect the world's cultural heritage threatened by wars and natural disasters". It has been described as the "Cultural Red Cross", and its name derives from the usage of the blue shield as specified in the 1954 Hague Convention on Protection of Cultural Property in Armed Conflict. ICU | INTERNATIONAL COUNCIL FOR SCIENCE - a non-governmental organization representing a global membership that includes both national scientific bodies (117 members) and international scientific unions (30 members). IEA | INTERNATIONAL ENERGY AGENCY - implements an international energy program of energy cooperation among 28 member countries. Site resources include supply statistics and projections. IEC | INTERNATIONAL ELECTROTECHNICAL COMMISSION - international standards and conformity assessment. IERS | International Earth Rotation and Reference Systems Service - the body responsible for maintaining global time and reference frame standards. ILGA | INTERNATIONAL LESBIAN AND GAY ASSOCIATION - the only worldwide federation campaigning for lesbian, gay, bisexual, trans and intersex rights. Since 1978. ILO | INTERNATIONAL LABOUR ORGANIZATION - promoting decent work for all. IMO | INTERNATIONAL MARITIME ORGANIZATION - safe, secure and efficient shipping on clean oceans. INTERNATIONAL CRISIS GROUP - conflict prevention and resolution. INTERNATIONAL MARITIME ORGANIZATION | IMO - safe, secure and efficient shipping on clean oceans. INTERPOL - the world’s largest international police organization, with 187 member countries. IRIS | INCORPORATED RESEARH INSTITUTIONS FOR SEISMOLOGY - Seismic Monitor allows you to monitor global earthquakes in near real-time. Visit seismic stations around the world. ISAF | INTERNATIONAL SECURITY ASSISTANCE FORCE - created in accordance with the Bonn Conference in December 2001. ISIN CODES SEARCH ENGINE - International Securities Identifying Number. IWC | INTERNATIONAL WHALING COMMISSION - an international body set up by the terms of the International Convention for the Regulation of Whaling (ICRW), which was signed in Washington, D.C. on 2 December 1946 to "provide for the proper conservation of whale stocks and thus make possible the orderly development of the whaling industry". Kids Rights Foundation - international children's aid and advocacy organisation based in Amsterdam, the Netherlands. Founded in 2003, KidsRights raises funds for independent local aid projects in a number of countries around the world, including Zimbabwe, Ukraine and Haiti. LHC | THE LARGE HADRON COLLIDER - the world's largest and highest-energy particle accelerator. LIVESTRONG - Lance Armstrong Foundation. MATERNITY WORLDWIDE - reduce maternal mortality in developing countries. MEDECINS SANS FRONTIÈRES | MSF INTERNATIONAL - an international humanitarian aid organisation that provides emergency medical assistance to populations in danger in more than 70 countries. MEMORY OF THE WORLD - UNESCO's programme aiming at preservation and dissemination of valuable archive holdings and library collections worldwide. MENSA INTERNATIONAL - check your IQ! Movember Worldwide - annual event involving the growing of moustaches during the month of November to raise awareness of men's health issues, such as prostate cancer and other male cancers, and associated charities. NELSON MANDELA FOUNDATION - "Living the Legacy." Promoting social justice. NOBEL FOUNDATION - for the awarding of the Nobel Prize in Physics, Chemistry, Physiology or Medicine, Literature and Peace. NOBEL PEACE PRIZE - the Norwegian Nobel committee. NRDC | NATURAL RESOURCES DEFENSE COUNCIL - the Earth's best defense. NUMBER RESOURCE ORGANIZATION | NRO - a coordinating body for the five Regional Internet Registries (RIRs) that manage the distribution of Internet numbers. The NRO also acts as the ICANN Address Supporting Organization (ASO), formed to review and develop recommendations on IP address policy and to advise the ICANN Board. OCEANA - protecting the world's oceans. OLPC | ONE LAPTOP PER CHILD - "Give a laptop. Change the world". ONE EARTH FUTURE - "We began operations in 2008 with a vision of developing effective systems of global governance to achieve a world beyond war – hence our tagline, Peace Through Governance." ONE INTERNATIONAL - a campaign and advocacy organisation with more than 2 million members committed to the fight against extreme poverty and preventable disease, particularly in Africa. OPEC | ORGANIZATION OF THE PETROLEUM EXPORTING COUNTRIES - the mission of OPEC is to coordinate and unify the petroleum policies of its Member Countries and ensure the stabilization of oil markets in order to secure an efficient, economic and regular supply of petroleum to consumers, a steady income to producers and a fair return on capital for those investing in the petroleum industry. OXFAM INTERNATIONAL - a group of non-governmental organizations from three continents working worldwide to fight poverty and injustice. P5+1 - group of six world powers which in 2006 joined the diplomatic efforts with Iran with regard to its nuclear program. The term refers to the P5 or five permanent members of the UN Security Council, namely China, France, Russia, the United Kingdom, and the United States, plus Germany. PADA | PROFESSIONAL AUTOGRAPH DEALERS ASSOCIATION - the leading source for knowledgeable, experienced and ethical dealers in autographs, and autographs that are unconditionally guaranteed authentic. PEACE ONE DAY - 21 September: the annual day of global ceasefire and non-violence adopted by the UN as Day of Peace. PEN International - worldwide association of writers, founded in London in 1921 to promote friendship and intellectual co-operation among writers everywhere. The association has autonomous International PEN centers in over 100 countries. PETA | PEOPLE FOR THE ETHICAL TREATMENT OF ANIMALS - the largest animal rights organization in the world, with more than 2 million members and supporters. PRIVACY INTERNATIONAL - founded 1990. Surveillance and privacy watchdog. PWYP | Publish What You Pay - global network of civil society organisations that are united in their call for oil, gas and mining revenues to form the basis for development and improve the lives of ordinary citizens in resource-rich countries. RAINFOREST ALLIANCE - works to conserve biodiversity and ensure sustainable livelihoods by transforming land-use practices, business practices and consumer behavior. RED RIBBON PROJECT - The red ribbon is a symbol for both drug prevention and for the fight against AIDS. REFUGEES UNITED - aims to assist refugees with an anonymous and safe internet search engine to find and reconnect with missing family members. REPRIEVE - Reprieve uses the law to enforce the human rights of prisoners, from death row to Guantánamo Bay. REPUTATION INSTITUTE - founded in 1997. The leading international organization devoted to advancing knowledge about corporate reputations and to providing professional assistance to companies interested in measuring and managing their reputations proactively. ROTARY INTERNATIONAL - more than 1.2 million members in 33,000 clubs worldwide. Motto: Service Above Self. SAVE OUR SEAS - preservation of the planet's marine heritage. SAVE THE CHILDREN - since 1919. International non-governmental organization that promotes children's rights, provides relief and helps support children in developing countries. SCAR | SCIENTIFIC COMMITTEE ON ARCTIC RESEARCH - a committee of ICSU , the International Council for Science, and it is charged with the initiation, promotion and co-ordination of scientific research in Antarctica. SCAR also provides international, independent scientific advice to the Antarctic Treaty system. SCHENGEN AGREEMENT - the borderless zone created by the Schengen Agreements, the Schengen Area, currently consists of 25 European countries. SCO | Shanghai Cooperation Organisation - intergovernmental mutual-security organisation which was founded in 2001 in Shanghai by the leaders of China, Kazakhstan, Kyrgyzstan, Russia, Tajikistan, and Uzbekistan. SEISMIC MONITOR - allows you to monitor global earthquakes in near real-time. Visit seismic stations around the world. SWIFT | Society for Worldwide Interbank Financial Telecommunication - the global provider of secure financial messaging services. TED - "Ideas worth spreading." TERRE DES HOMMES INTERNATIONAL FEDERATION - is a network of eleven national organisations working for the rights of children. THE ART LOSS REGISTER - Operates a permanent international database of stolen and missing works of art, antiques and valuables. THE BIG GREEN HELP - daily green tips. THE CLIMATE PROJECT (TCP) - an international non-profit founded by Nobel Laureate and former Vice President Al gore with a mission to increase public awareness of the climate crisis at a grassroots level worldwide. The Freecycle Network - "Changing the world one gift at a time." A non-profit organization registered in the state of Arizona, USA, and separately registered as a UK charity, that organizes a worldwide network of "gifting" groups, aiming to divert reusable goods from landfills. It provides a worldwide online registry, and coordinates the creation of local groups and forums for individuals and non-profits to offer and receive free items for reuse or recycling, promoting gift economics as a motivating cultural outlook. THE GIVING BACK FUND - "Integrity and Innovation in Philanthropy." A society in which becoming a successful philanthropist is as valued and desirable a goal as success in athletics, business, entertainment, or any other field. THE MANUSCRIPT SOCIETY - the oldest society of autograph and manuscript collectors in the United States with members in Asia, Australia, Europe, North America, and South America. THE OCEAN FOUNDATION - providing high-end philanthropic advice for a community of donors who care about the coast and oceans. THE SALVATION ARMY - doing the most good! THE WORLD BANK GROUP - consists of: IBRD, IDA, IFC, MIGA and ICSID. TIGHAR | The International Group for Historical Aircraft Recovery - non-profit foundation dedicated to promoting responsible aviation archaeology and historic preservation. TIR | transit international routier TREATY - the Convention on International Transport of Goods Under Cover of TIR Carnets (TIR Convention) was made at Geneva on 14 November 1975 to simplify and harmonise the administrative formalities of international road transport. TRANSPARANCY INTERNATIONAL - since 1993. "The global coalition against corruption." Non-governmental organization that monitors and publicizes corporate and political corruption in international development. Trilateral Commission - non-governmental, non-partisan discussion group founded by David Rockefeller in July 1973, to foster closer cooperation among North America, Western Europe, and Japan. UACC | UNIVERSAL AUTOGRAPH COLLECTORS CLUB - a non-profit organization dedicated to the education of the autograph collector. UN | UNITED NATIONS - it's your world. UNAOC | UNITED NATIONS ALLIANCE OF CIVILIZATIONS - aims to improve understanding and cooperative relations among nations and peoples across cultures and religions. UNHCR | UNITED NATIONS HIGH COMMISSIONER FOR REFUGEES - the UN refugee agency. UNITED NATIONS GLOBAL COMPACT - a strategic policy initiative for businesses that are committed to aligning their operations and strategies with ten universally accepted principles in the areas of human rights, labour, environment and anti-corruption. VITAL VOICES - "Our mission is to identify, invest in and bring visibility to extraordinary women around the world by unleashing their leadership potential to transform lives and accelerate peace and prosperity in their communities." VOA NEWS | VOICE OF AMERICA - trusted source of news & indformation since 1942. VOTE WATCH - independent website set up to promote better debates and greater transparency in EU decision-making by providing easy access to, and analysis of, the political decisions and activities of the European Parliament and the EU Council of Ministers. W3C | WORLD WIDE WEB CONCORTIUM - an international community where Member organizations, a full-time staff, and the public work together to develop Web standards. Led by Web inventor Tim Berners-Lee and CEO Jeffrey Jaffe, W3C's mission is to lead the Web to its full potential. WADA | WORLD ANTI-DOPING AGENCY - promotes, coordinates and monitors the fight against doping in sport in all its forms. Watson Institute for International Studies - founded in 1981. Center for the analysis of international issues at Brown University. WE CAN SOLVE IT - the climate crisis. WFP | WORLD FOOD PROGRAMME - since 1961. Food assistance branch of the United Nations and the world's largest humanitarian organization addressing hunger and promoting food security. On average, the WFP provides food to 90 million people per year, of whom 58 million are children. From its headquarters in Rome and more than 80 country offices around the world, the WFP works to help people who are unable to produce or obtain enough food for themselves and their families. WGC | WORLD GOLD COUNCIL - the World Gold Council’s mission is to stimulate and sustain the demand for gold and to create enduring value for its stakeholders. The organisation represents the world’s leading gold mining companies. WILDAID - conservation through conservation. WITNESS - "See It. Film It. Change It." Uses video to open the eyes of the world to human rights violations. WMO | WORLD METEOROLOGICAL ORGANIZATION - working together in weather, climate and water. World Animal Protection - since 1981. International non-profit animal welfare organization that has been in operation for over 30 years. The charity describes its vision as: A world where animal welfare matters and animal cruelty has ended. WORLD ECONOMIC FORUM - annual meeting at Davos, Switzerland. World Meteorological Organization - founded in 1873. 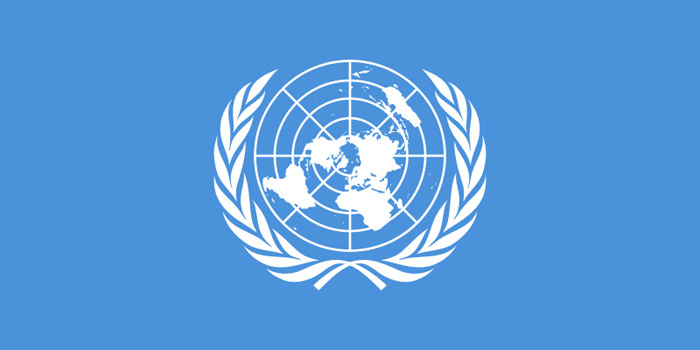 Intergovernmental organization with a membership of 189 Member States and Territories. WORLD MONUMENTS FUND - New York-based non-profit organization dedicated to preserving and protecting endangered ancient and historic sites around the world. WORLD ORGANIZATION OF THE SCOUT MOVEMENT - creating a better world. WWF | WORLD WIDE FUND FOR NATURE - international non-governmental organization working on issues regarding the conservation, research and restoration of the environment. It is the world's largest independent conservation organization with over 5 million supporters worldwide, working in more than 100 countries, supporting around 1,300 conservation and environmental projects. X PRIZE FOUNDATION - "The mission of the X PRIZE Foundation is to bring about radical breakthroughs for the benefit of humanity. We do this by creating and managing prizes that drive innovators to solve some of the greatest challenges facing the world today."